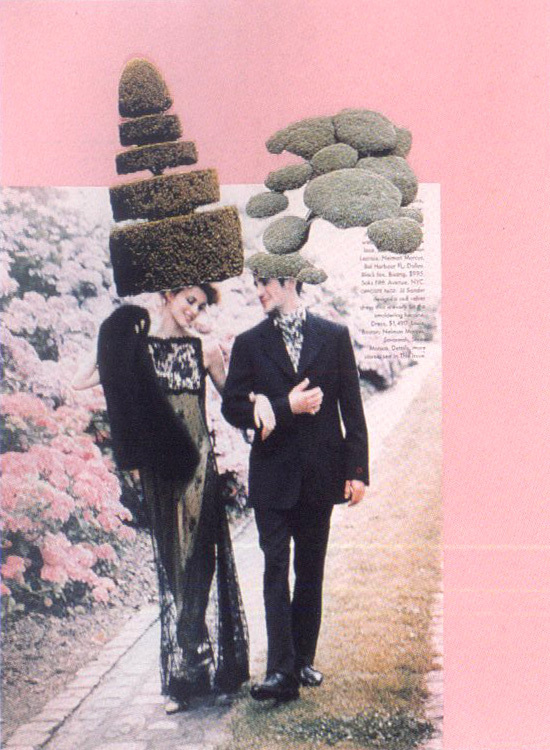 Ken Smith here suggests possible topiary tactics for the landless and absurdly style-conscious urban dwellers to get a leg up on their fashionable rivals. So quite possibly a trip to a Alexander McQueen boutique would also merit a stop at a Home Depot afterwards. Of course, these photomontages hint at even more provocative acts of body modification: the self-mutilation of actual living tissues as spatialized in the Transgenic Zoo and the Brave New Edible Estates. Michael Jackson as a legitimate landscape concern.